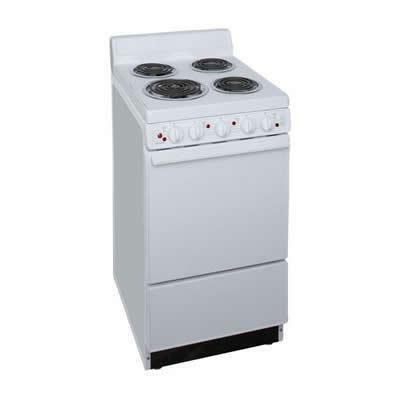 Premier 2.4 cu.ft electric range with 4 inches porcelain backguard. 4 individual surface signal ligths and easy cleaning with the standard clean oven. Burners/Elements Output 1 x 2100 watts; 3 x 1250 watts. Burner/Element Size 1 x 8 inches; 3 x 6 inches. Warranty 1 Year. Exclusive lifetime warranty on top elements.